Kelly Coleman of Wayland was named Kentucky's first Mr. Basketball & National High School Player of the Year. He was rated above Oscar Robertson & Jerry West, 2 of college's & NBA's all-time greats. Many schools showed an interest in Coleman, but he decided to continue his education and play basketball at West Virginia University. Before he traveled to Morgantown to play for the Mountaineers, the NCAA investigated claims of illegal recruiting practices by the school in an effort to sign Coleman. reprinted and re-edited with permission. Kelly Coleman, without question is the greatest Kentucky high school player of all time, finished his amazing high school basketball career by gathering 4,263 points in 127 games for an astounding 33.6 per game mark in his four-year career at Wayland High School in the hills of Floyd County. During the 1955-56 season, the agile performer chalked up 1,919 counters, a 46.8 point per game average that should last forever. As a junior, he hit 1,174 points in 36 contests for a 32.6 ppg avg. In his sophomore year, 784 points in 30 games. for a 24.1 ppg avg. As a 14-year-old freshman he scored 386 points in 20 games for a 19.3 ppg avg. The King scored 75 points against Maytown in the 1956 season. 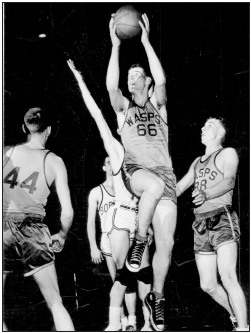 In the 1956 Kentucky State High school basketball tournament, Kelly broke four of the individual records himself and his Wayland team established four more. Most points in one state tournament game, 68, breaking his own record of 50 set against Shelbyville in the opening game. The Memorial Coliseum one-game record, breaking Cliff Hagan's mark of 51 set against Temple for Kentucky. Four-game individual total of 185 points, breaking the 127 record of the previous year. New individual point-per-tournament game average of 46.25 breaking the old mark of 31.75. The son of a former coal miner, Kelly started playing basketball at the age of six on an outdoor court near the city limits of Wayland and was a full-fledged member of the varsity when he enrolled in high school. He has been named to the all-district team four times, all-regional twice, all-E.K.M.C. twice, all-state twice, all-state tournament twice and 1956 National player of the year as a result of his cage prowess. The 210-pound 6-3" 18-year old, excels as one of the best greatest rebounders Kentucky basketball has ever seen. He is an adept dribbler and has a very deceptive change of pace, which made him equally effective driving in or shooting his favorite one-hander from back of the foul ring, which is measured at 23'. Today that would a 3 pointer, and would probably increase his point totals by 12-15 points per game. King Kelly was named as the first recipient of the Mr. Basketball of Kentucky. Kelly Coleman, in this writers opinion, is the single greatest high school basketball player in American schoolboy history. Kelly Coleman was aptly nicknamed the "KING", a title most of us could not live up to. Kelly Coleman did, and he handled it with grace and dignity. Even though Kelly did not like the title, he learned to live with that title. He was a man of humility and with an incredible amount of god-given talent and he proved he deserved the title beyond a shadow of doubt. Kelly Coleman's legend will live forever as Kentucky's greatest gift to High School basketball. Close friend & former teammate, Don Gish (of Barret High in Henderson. KY) & teammate at Kentucky Wesleyan College, says that Kelly Coleman was without doubt the most heavily recruited high school player of all-time. Every coach, player or fan that ever saw this phenom would all say Kelly Coleman was the greatest player they ever saw play this game. Legend has it that Kelly was as good in baseball as he excelled in basketball. Kelly did play baseball for Kentucky Wesleyan College, and lead the baseball team in hitting. It's a shame that Kelly Coleman never had the chance to play high school football, baseball or track. We would probably be reading about his prowess & his records in those other sports. Played 2 years in the ABL, and was second leading scorer in the ABL. The starting five for Wayland all averaged in double figures. King Kelly's point total of 68 POINTS in the consolation game of the state high school tournament was not his highest score that season. That same year in a regular season game, Coleman scored 75 Points against the Maytown Wildcats. the entire team from Maytown by 1 POINT. "KING Kelly Coleman 75 Maytown 74". actual Final score WAYLAND 122 Maytown 74. 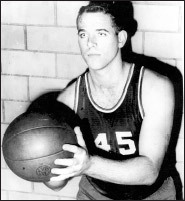 The King of high school basketball, Kelly Coleman averaged a tournament record of 49 points a game in the 1956 Kentucky High School tournament. As of today's date, 9-29-09, Kelly Coleman still holds the record in the KHSAA sweet 16 tournament in 7 different categories. None of these records have been broken and still stands today. Fifty-three years ago in 1956 , Kelly Coleman was a senior at the now defunct Wayland High School (Wayland High School joined the ranks of many high schools in Kentucky that became victims of County consolidations). But the player who would be known as the greatest high school basketball player in U. S. history was anything but your average student. Kelly Coleman averaged 46.8 points per game in 1956 for the Wayland High School Wasps basketball team and was called “the greatest high school player who ever lived” by legendary University of Kentucky head coach Adolph Rupp. In the 1956 state tournament, Coleman faced a hostile crowd who was anxious to see Kelly fail. Every major school tried to recruit Coleman, but he decided to play basketball at West Virginia University. Before he traveled to Morgantown to play for the Mountaineers, the NCAA investigated claims of illegal recruiting practices by the school in an effort to sign Coleman. If Kelly had actually played for the Mountaineers, he would have been teamed up with Mountaineer legend Jerry West. Which quite possibly could have the been the best 1-2 punch in NCAA histoty, but fate had other plans. After receipts from Coleman’s credit card purchases were obtained, he was not allowed to play basketball at West Virginia by a ruling made by the NCAA. Coleman then found out the University of Kentucky had contacted the NCAA and asked for an investigation. That finalized his decision of not attending UK, cheating destiny, now he never would have the chance to play as a Wildcat, as all UK fans wanted him to do. That literally was the nail in the coffin for the greatest high school player of all time, and would have to settle playing at the NCAA small college level. Not at the University of Kentucky, not West Virginia or any division 1 school. Kelly worked in Ohio for a year, and then decided to continue his education and play more basketball, and enrolled at Kentucky Wesleyan College in Owensboro, where he once again rewrote the record books. The King of high school basketball was the 11th overall pick in the 1961 NBA draft by the New York Knicks, where he played 2 years. Kelly left the NBA after 2 years and went to the new ABL where his topsy-turvy basketball career finally ended. What a legacy this Mountain man left, leaving his mark for all of the young men playing basketball in the Mountains of Eastern Kentucky. In a state where the love of basketball itself is legendary, there are its rare heroes who also, through the dispassionate lens of history, rise to legendary status. When that legend rises so far above the others to acquire mythical or rather, folk hero, proportions - and then enigmatically vanishes- you have King Kelly Coleman. This shy, humble mountain boy blessed with extraordinary talent and drive captured Kentucky's hearts and its all-time record books with performances that have yet to be equaled - even half a century later. Never before in print, the authorized King Kelly Coleman story, as told by award-winning author Gary P. West, from actual interviews and information from Coleman himself. "...A portrayal of who is arguably the best high school player to ever have played the game of basketball in the Bluegrass." "Kelly Coleman was one of the most exciting players in Kentucky's history, and his legendary feats are still being talked about today. This book sets the records and stories straight." "A must read for the basketball fan who wants to know the real story about Kentucky's greatest basketball legend, King Kelly Coleman." "...The greatest prep basketball player in history." Note: I found the book to be extremely interesting and informative. There's a section about Henderson City High's runner-up to Carr Creek. There's even more about former Henderson Barret great Don Gish. Only in Kentucky does a sport say so much about a state. Blue Yonder reads like a fast-paced novel and is filled with dozens of characters from the legendary King Kelly Coleman to the stalwarts of the 1977 UK team that against all odds went into overtime for the NCAA Championship. Between the birth of UK’s national prominence under Adolph Rupp and its rebirth under Rick Pitino is an all-encompassing look at the mysterious culture of Kentucky basketball. Never before has a book captured so ardently the regional pride that fuels this state’s obsession.